I just hope to have fun and meet people that love to read as much as I do. Really, that is it. I love working with authors and other bloggers but at the end of the day it’s really about the books. Hopping through. Very true – no books, no blog. The books are most important. Love the answer! Reading books really is what it comes down to. I agree. Great answer. Love your blog so far. 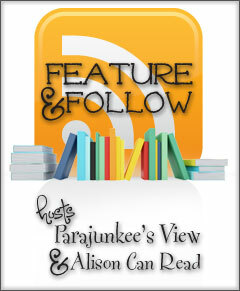 It would be great if you could stop by our Feature & Follow Friday post. Awesome looking blog!! Great answer!! I agree its about fun and books ! New follower, love your blog! New follower, that’s true at the end of the day its about the books. Hopping through click on my name to see my FF.